Elizabeth Glick’s husband David had died helping Irma, a mother horse, give birth. Every morning when Elizabeth goes to work on the buggy drawn by Irma she can’t stop thinking about her husband. In these trying times Elizabeth feels fortunate to have Paul Esch in her life, who owns Irma and has always been close to her and David since the three were young. When Paul offers her Dorothea, Irma’s baby horse, Elizabeth declines at first; however, after finally giving in to his insistence, she finds a newfound solace in taking care of David’s legacy to this world. Then one cold winter day, Dorothea runs out of the barn in front of Elizabeth. Having already lost her husband, would she lose even what her husband had left her? 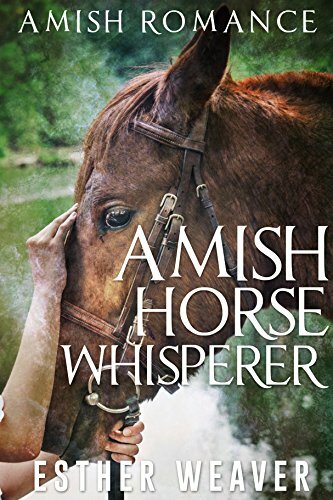 This is the Kindle version of Amish Horse Whisperer (Amish Romance) (Amish Broken Hearts Series Book 1) that you can also download and read on your computer and mobile phone. Kindle books are DRM protected and therefore, unlike ebooks that are in PDF or ePUB format, you cannot read this ebook without the official Kindle apps.